Crescent Roll Pumpkin Cinnamon Rolls are so easy to make and are perfect for fall. 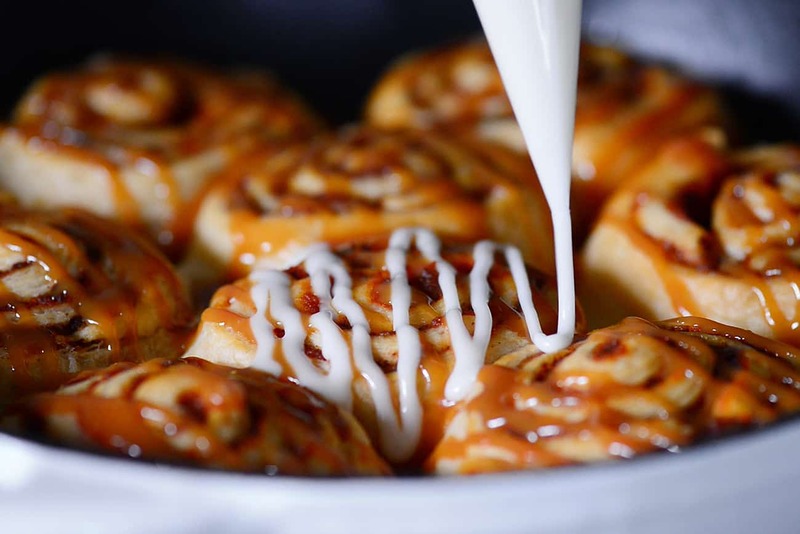 This small batch of cinnamon rolls is drizzled with caramel and icing. Fall is in the air and I couldn’t be more excited! Autumn is my favorite season with the cooler weather and colorful foliage. The leaves on some of the trees in our area have already started to change color and the air has a hint of crispness. So today I’m sharing a recipe for crescent roll pumpkin cinnamon rolls that remind me of all the things I love about fall! Where is the Crescent Roll Pumpkin Cinnamon Rolls Recipe? In this post, I will share step-by-step instructions with photos for how to make the cinnamon rolls, as well as answering FAQs about the recipe, giving suggestions for more pumpkin recipes and showing a video of the recipe. But you can go directly to the recipe by scrolling down to the bottom of the post. Unroll crescent roll dough and press on the seams to seal. 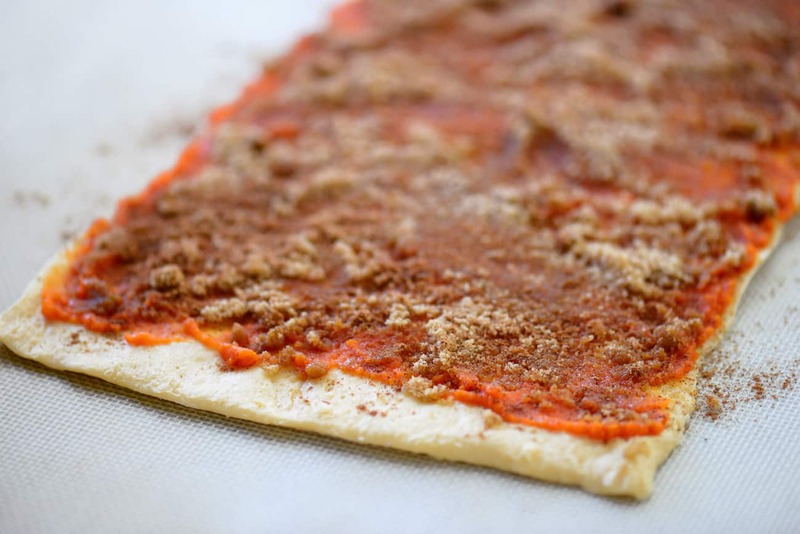 Spread pumpkin puree over the dough leaving about 1-inch bare at one of the short ends. Sprinkle with brown sugar and pumpkin pie spice. Roll up the dough starting at the short end and pinch seam to seal. 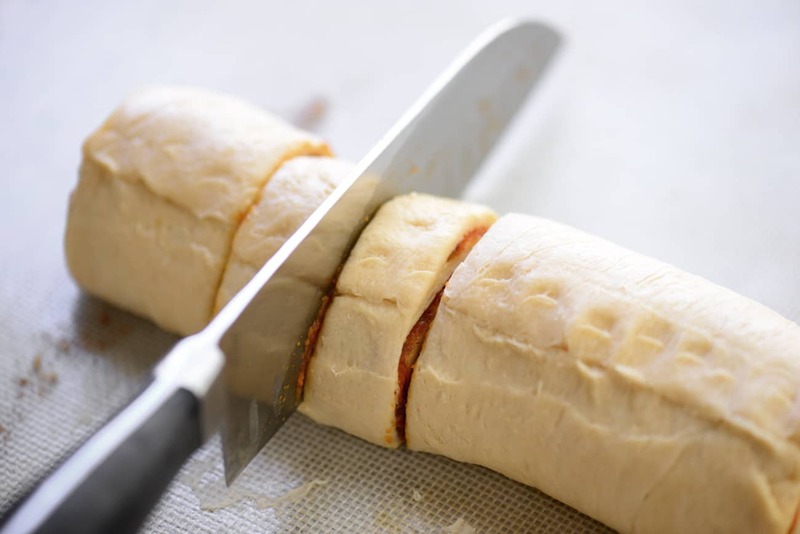 Cut the roll of dough into eight equal slices. 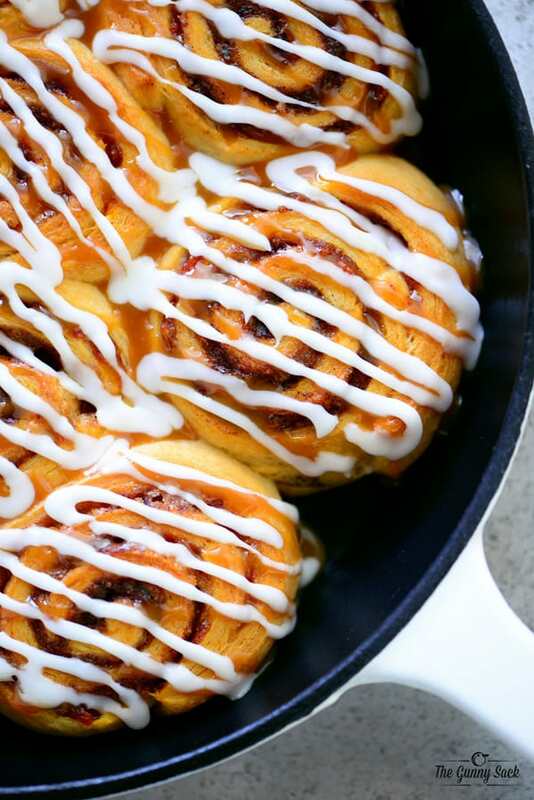 Place the crescent roll pumpkin cinnamon rolls in a greased 10-inch cast iron skillet. Bake at 375 degrees for 19-23 minutes, until golden brown. Mix together powdered sugar and half-n-half to make the icing. 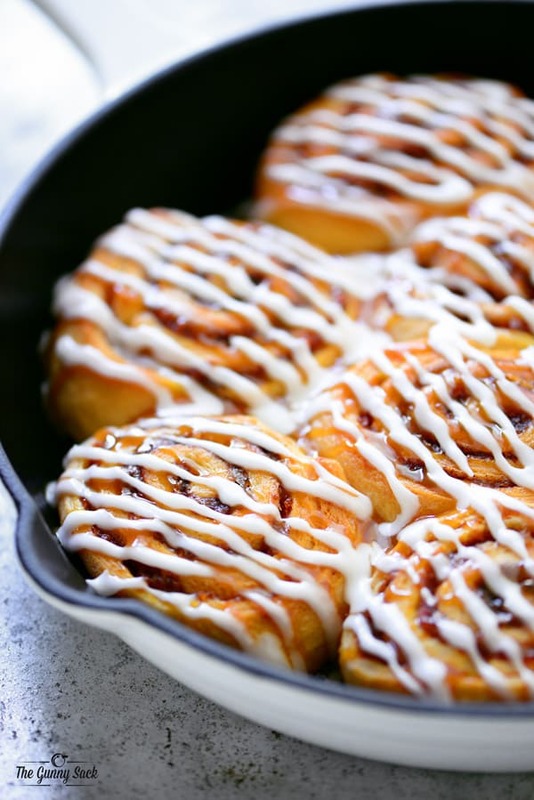 Drizzle the crescent roll pumpkin cinnamon rolls with the powdered sugar icing. 1. Can these be made with granulated sugar instead of brown sugar? Yes, you can use equal amounts of either sugar. 2. Would nuts be good in these cinnamon rolls? Yes! Try adding either chopped walnut or pecans. 3. Do you have suggestions for a lighter version? 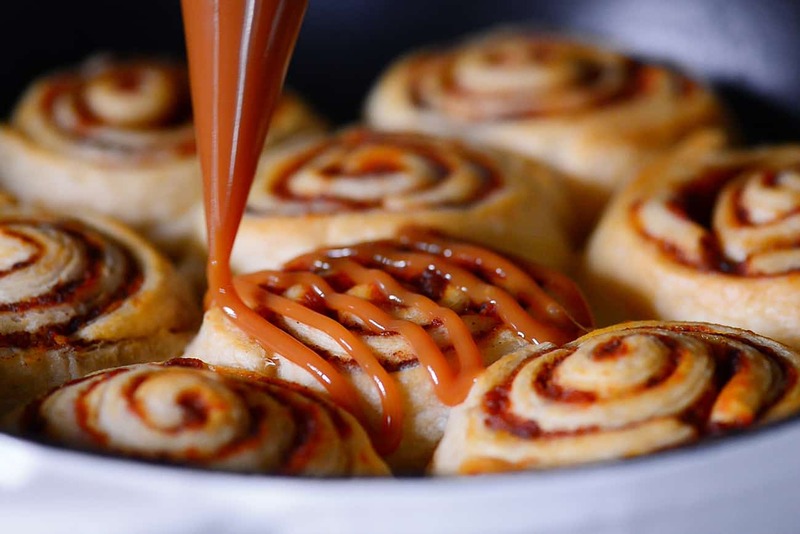 Use reduced fat crescent roll dough, a sugar alternative instead of brown sugar and skip the caramel sauce and glaze. 4. What can I use instead of a cast iron skillet? Try baking them in a 9-inch pie pan or a 9×9-inch square pan. 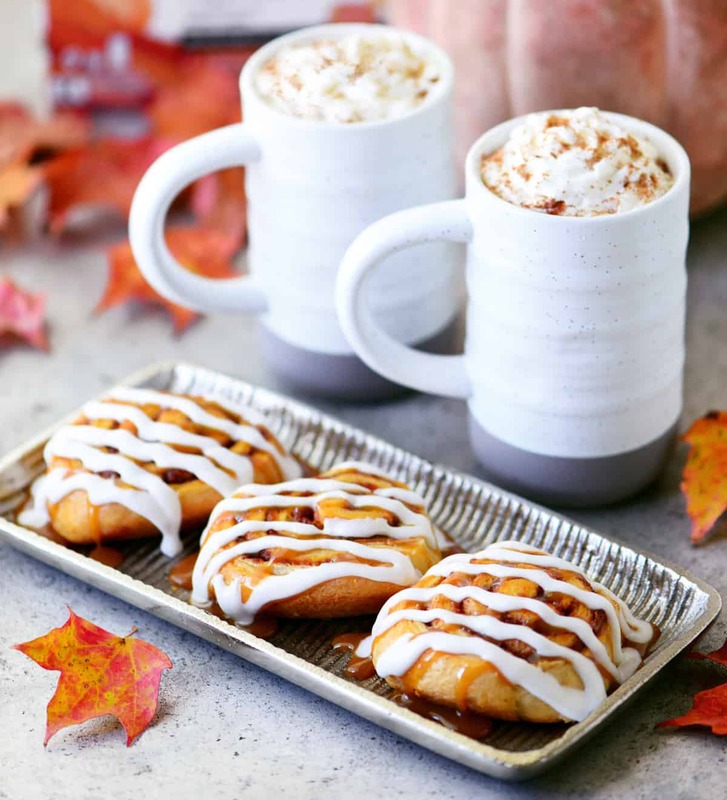 Serve the pumpkin cinnamon rolls while warm with steaming mugs of coffee. 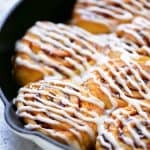 These cinnamon rolls are so easy to make at the perfect thing to serve at a fall harvest party or while sitting around a backyard bonfire. Need More Pumpkin Recipes To Try? Don’t worry, we’ve got you covered! Try one of these pumpkin recipes next. Pumpkin Mug Cake: This Pumpkin Mug Cake recipe is dangerously easy to make. You are only 60 seconds away from a warm, delicious cake! Pumpkin Pie Bars: This Pumpkin Pie Bars recipe is easy to make, super delicious and perfect for all of your fall celebrations from Halloween to Thanksgiving. Pumpkin Silk Pie: This Pumpkin Silk Pie is a delicious holiday dessert recipe that is easy to make. Pumpkin dessert recipes are perfect for holiday parties and this pie is a fun alternative to the traditional pumpkin pie. 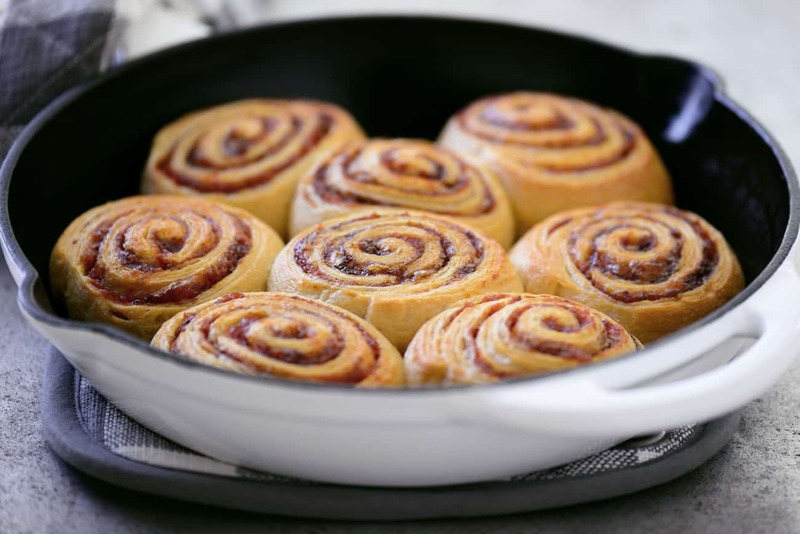 Place the rolls in a greased 10-inch cast iron skillet. Mix together powdered sugar and half-n-half. 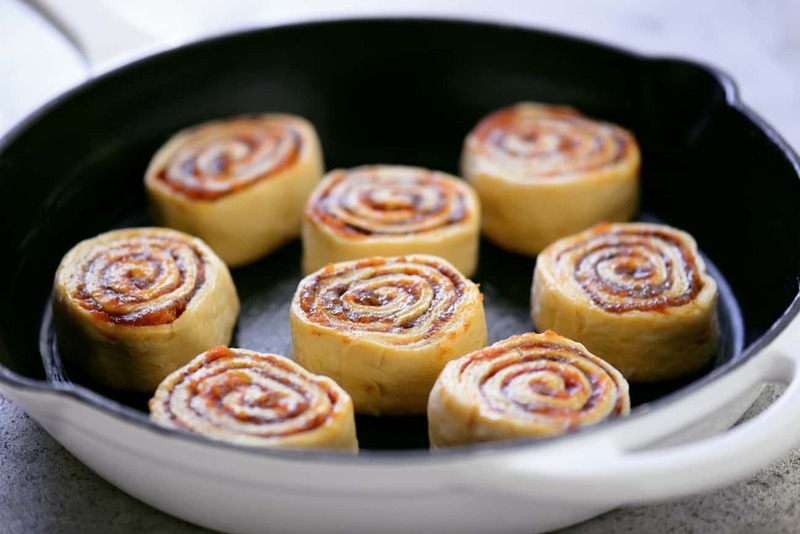 Drizzle over cinnamon rolls. I made these last week for my coworkers. My free time was sporadic, so I ended up completing the recipe through step 4, then put the rolls (uncut) into the fridge for a few hours. When I came back, some of the liquid (from the pumpkin I assume) had seeped out of the rolls and into the pan. I thought it was done for, as the dough appeared pretty soggy at the bottom. But, I pulled them out, dried up most of the seeped liquid, and pushed on. I had to cut them carefully, but ultimately they baked up just fine in a glass 9×13 and 9×9. I skipped the caramel sauce, but did the glaze, and everybody loved them! 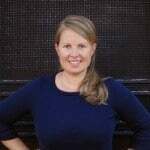 Thanks again Tonia! Could you please elaborate on the last three ingredients listed Do I mix them all together and pour over the rolls ??? This looks delicious! A little salsa would be good with it! Thank you so much for all the recipes you post ! Really appreciate it!